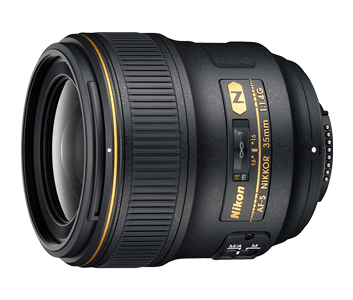 Designed with state-of-the-art NIKKOR optics, the AF-S NIKKOR 35mm f/1.4G is optimised for edge-to-edge sharpness on both FX- and DX-format DSLRs. The Aspherical lens element and Nano Crystal Coat technology minimises ghosting, lens flare, coma and other lens aberrations, while the Silent Wave Motor (SWM) swiftly autofocuses your image to deliver superior clarity to all your photos. Our innovative Rear Focusing system (designated by "RF" on the lens barrel) boasts faster focusing without changing the physical length of the lens.